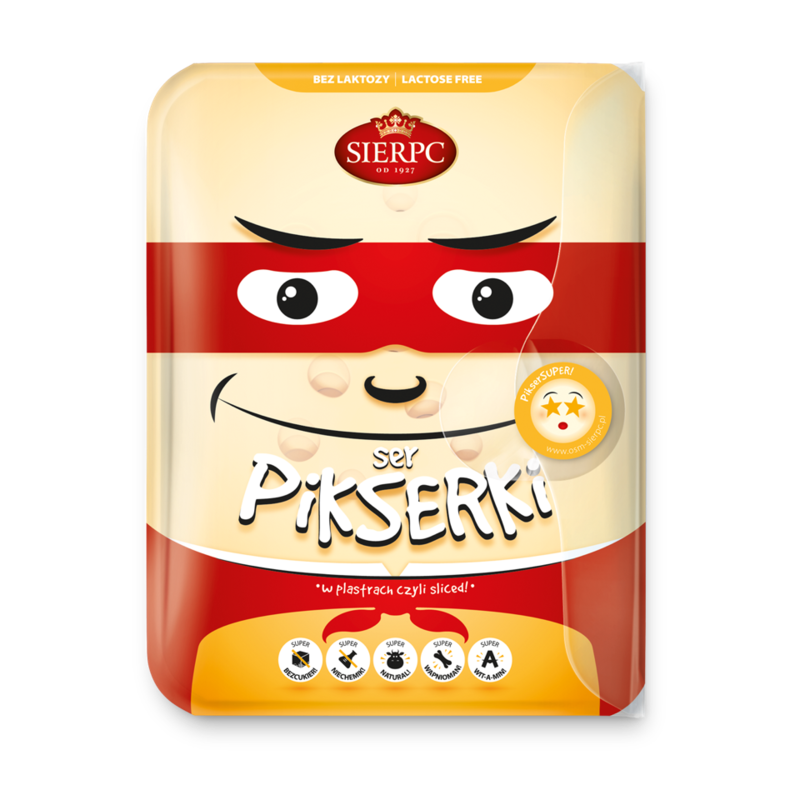 Delicious and healthy cheese for children. 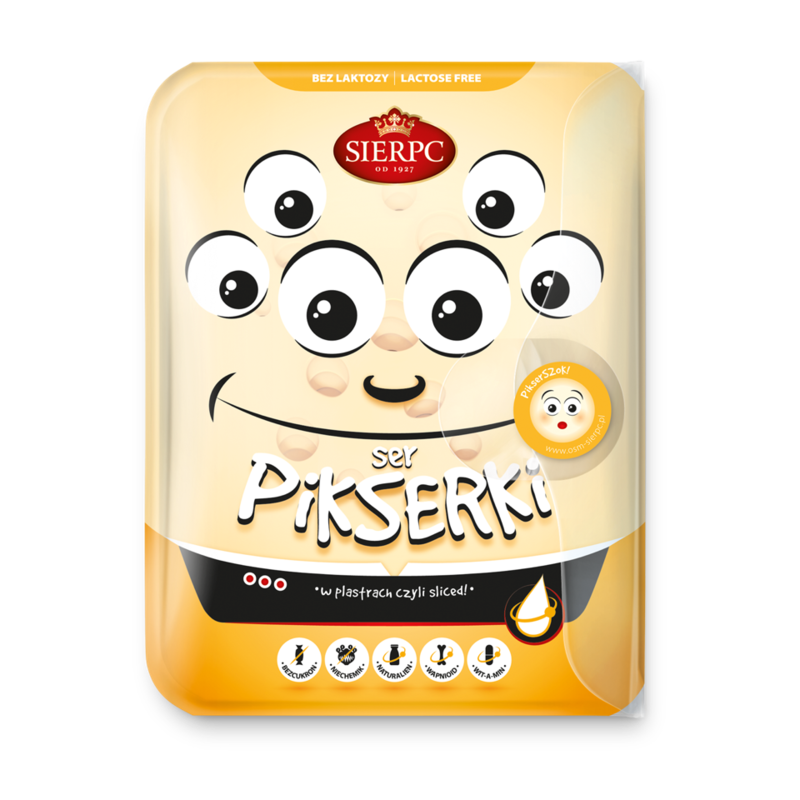 Its greatest asset is its short ingredient list, free from lactose and artificial additives. 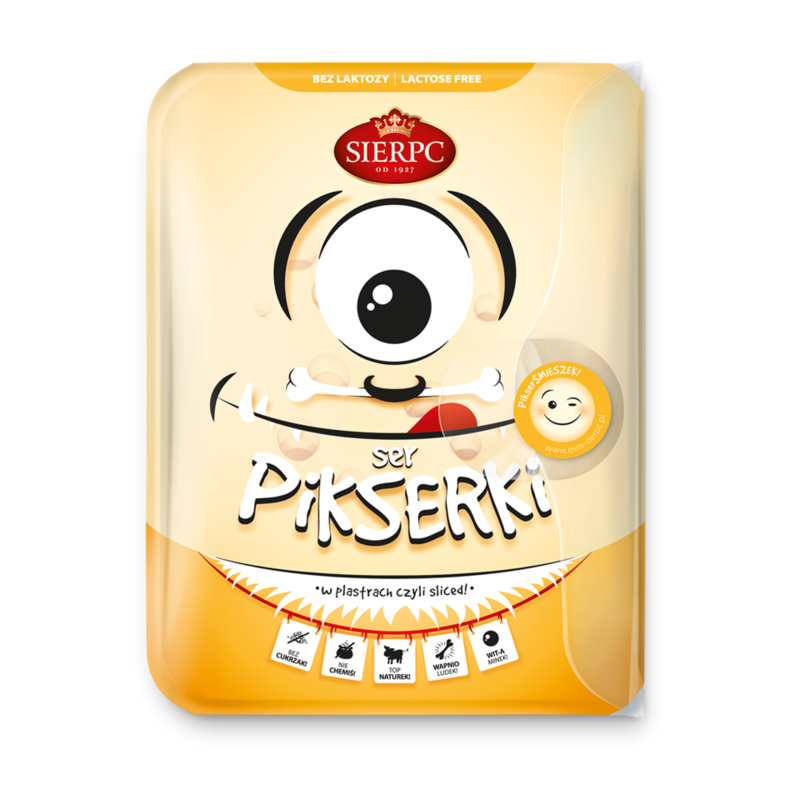 Pikserki is a balanced and nutritional snack, packed with ideas and happiness that turn every meal into a fun activity. 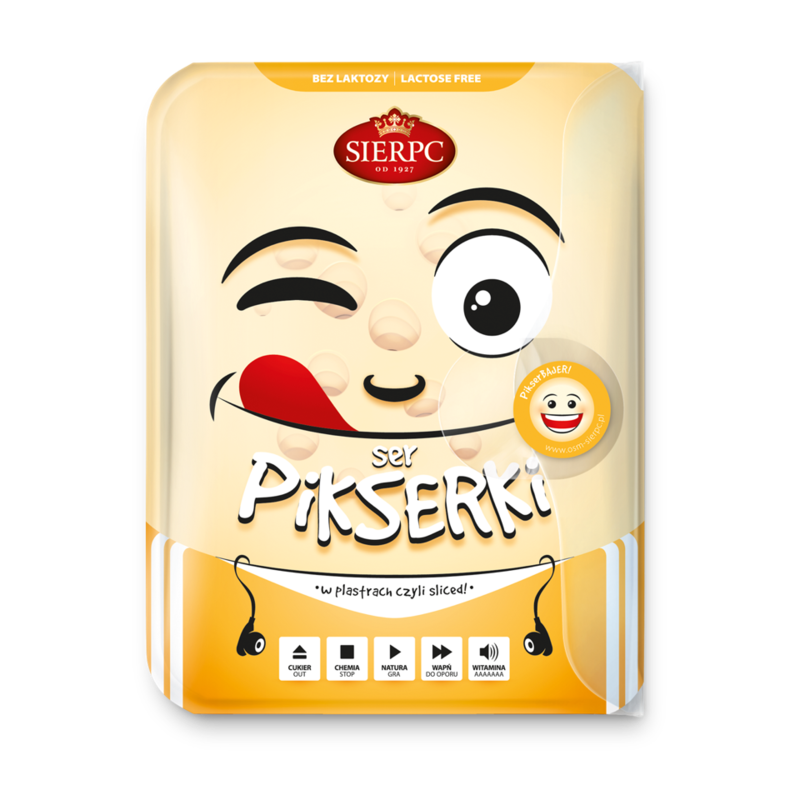 Ingredients : Ingredients: Pasteurised milk, salt, bacterial cultures (cheese-making starter, propionic bacteria starter). 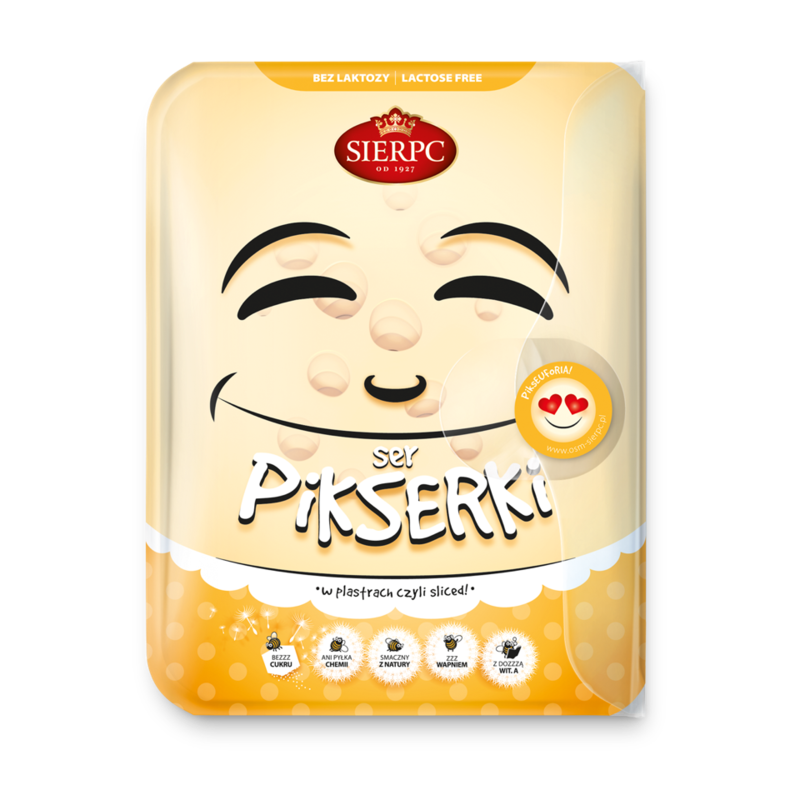 Preservative-free.